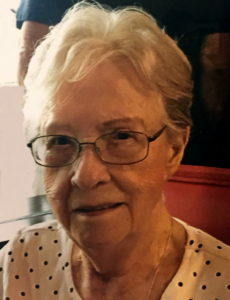 Dorothy L. Mazzariello passed away on Thursday, October 4th at home surrounded by her family in Millville, DE, at the age of 89. Born in Brooklyn, NY she eventually settled in Oakwood section of Staten Island. She graduated from New Dorp High School. Dorothy worked as a dental assistant for Drs. Avis & Weinstein DDS for over 35 years. After retiring she and John eventually moved to Bethany Beach area in Delaware where she would always say, “She was on vacation every day!” She enjoyed having her children and their families visit, she also spent some time volunteering with children at school helping with reading and at Beebe Adult Day Center. Dorothy was predeceased by her husband John A. in 2007 and her sister Patricia Rodvansky. She leaves behind to cherish her memories her loving daughters, Dianne (John) DeFazio, Dawn (Bob) Zimmer, beloved sons, Peter (Ewa) Kennedy and Stephen (Lisa) Kennedy and her loving sister Joan Suplee. Along with 9 grandchildren and 12 great-grandchildren. We want to express our sympathy and let you know that our thoughts are with you at this time of sorrow. My deepest sympathy on the loss of your Mother. My condolences and deepest sympathies!